For the second time in as many trading days, shares of BlackBerry were halted in advance of some big news from the company. Today's news is no less big. BlackBerry has just announced that it's signed a letter of intent agreement for a sale of the company valued at $4.7 billion to a consortium led by Fairfax Financial (the company's largest shareholder). Pending due diligence that's expected to be completed by November 4th, the deal would see BlackBerry go private, with shareholders each receiving $9 per share in cash. In a statement, Fairfax Chairman and CEO Prem Watsa said, "we believe this transaction will open an exciting new private chapter for BlackBerry, its customers, carriers and employees," adding, "we can deliver immediate value to shareholders, while we continue the execution of a long-term strategy in a private company with a focus on delivering superior and secure enterprise solutions to BlackBerry customers around the world." While BlackBerry CEO Thorsten Heins has yet to offer any public comment on the news, the chair of BlackBerry's Board of Directors, Barbara Stymiest, drew attention to that due diligence period in her statement, saying that "the go-shop process provides an opportunity to determine if there are alternatives superior to the present proposal from the Fairfax consortium." 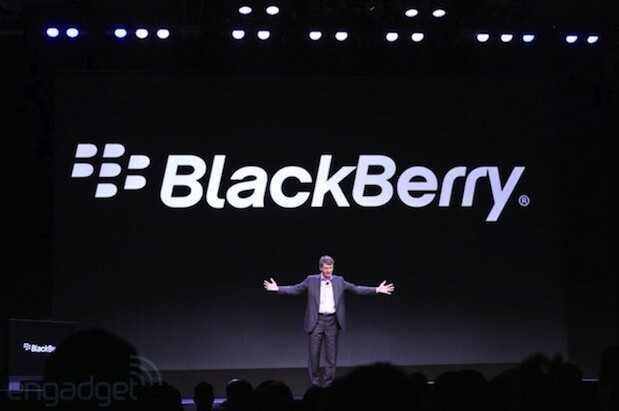 As part of the agreement, BlackBerry would have to pay a termination fee if it accepted another offer. You can find the official announcement of the deal after the break.